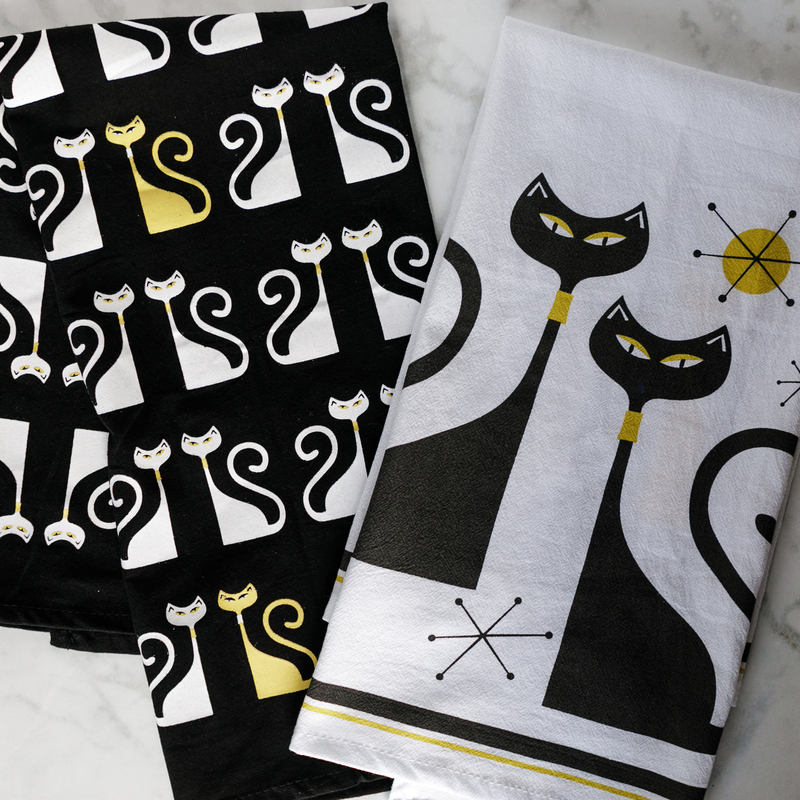 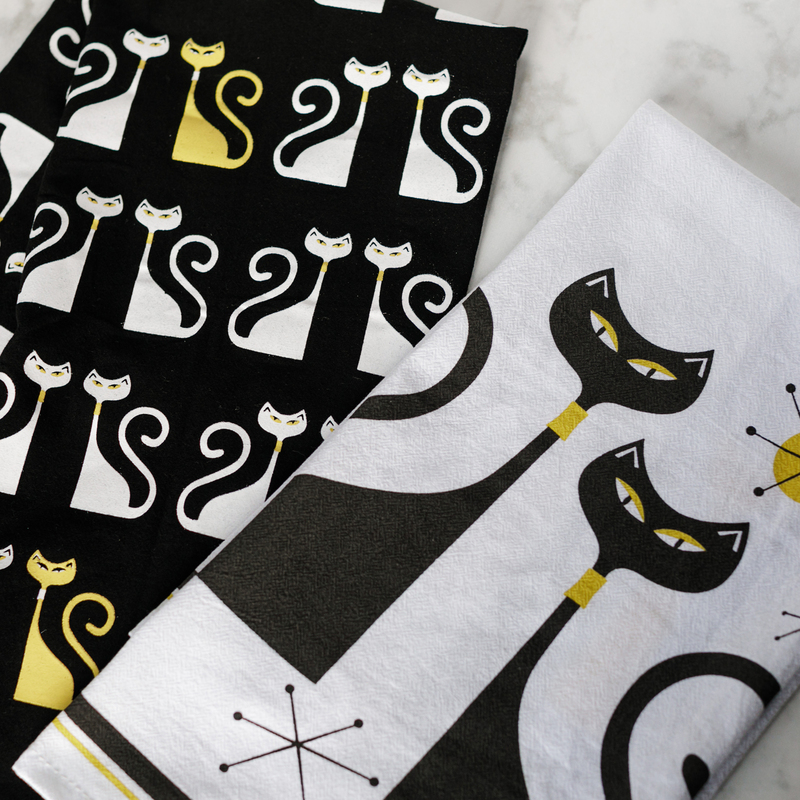 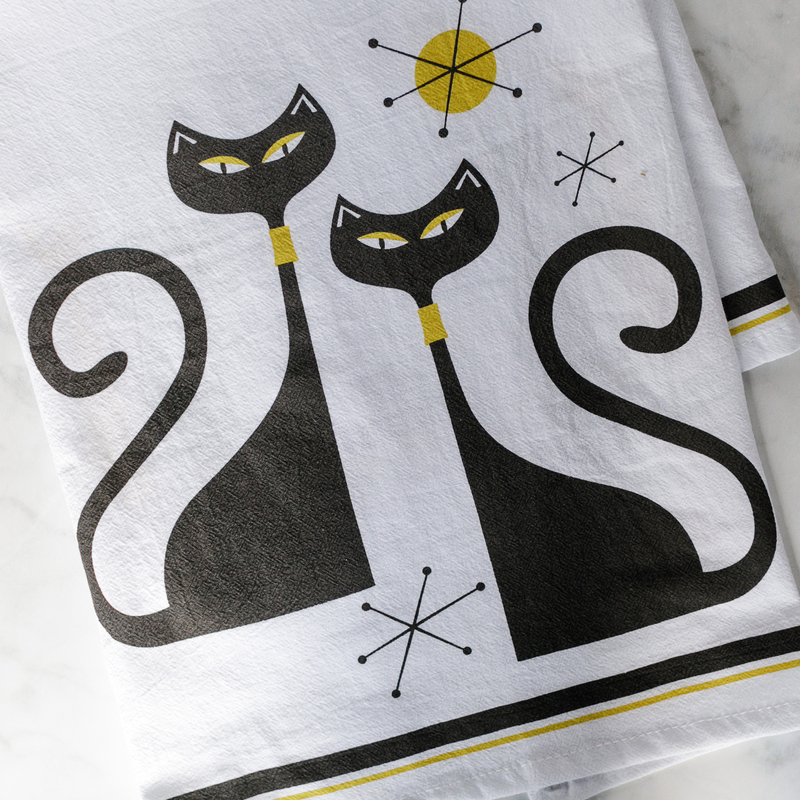 Clean up and kitchen CATastrophes with these mid-century inspired tea towels… or just use them dry your hands and the dishes! 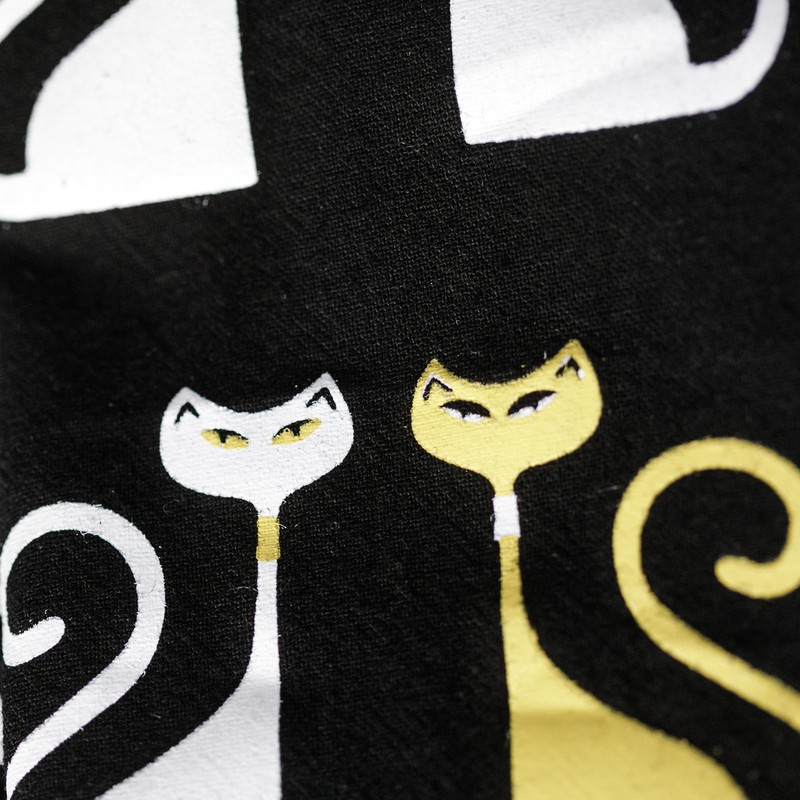 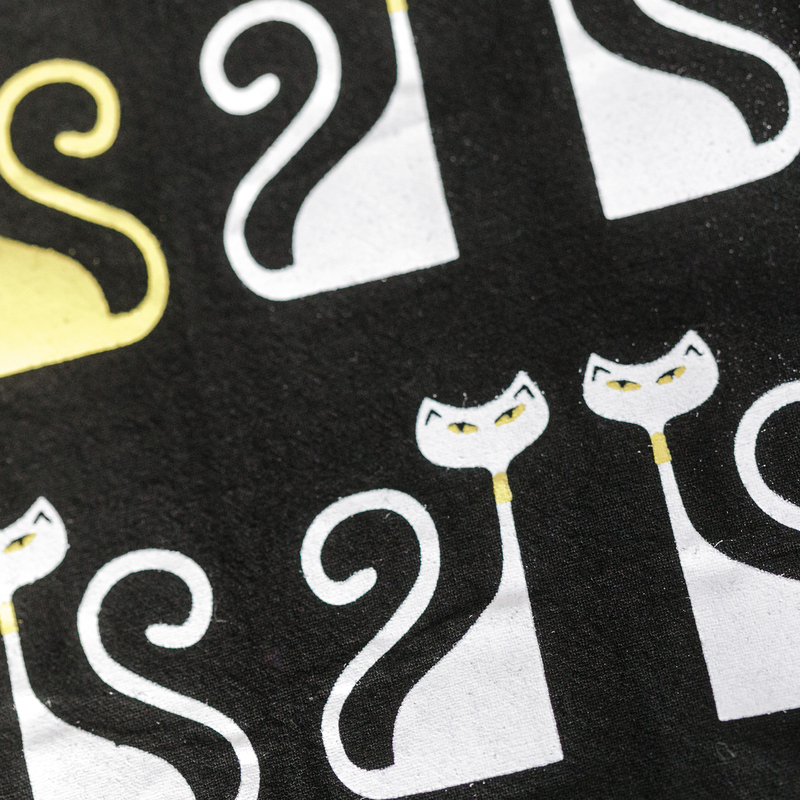 Exclusive to CatLadyBox and designed to match our signature Mod Cats Stemless Wine Glasses! 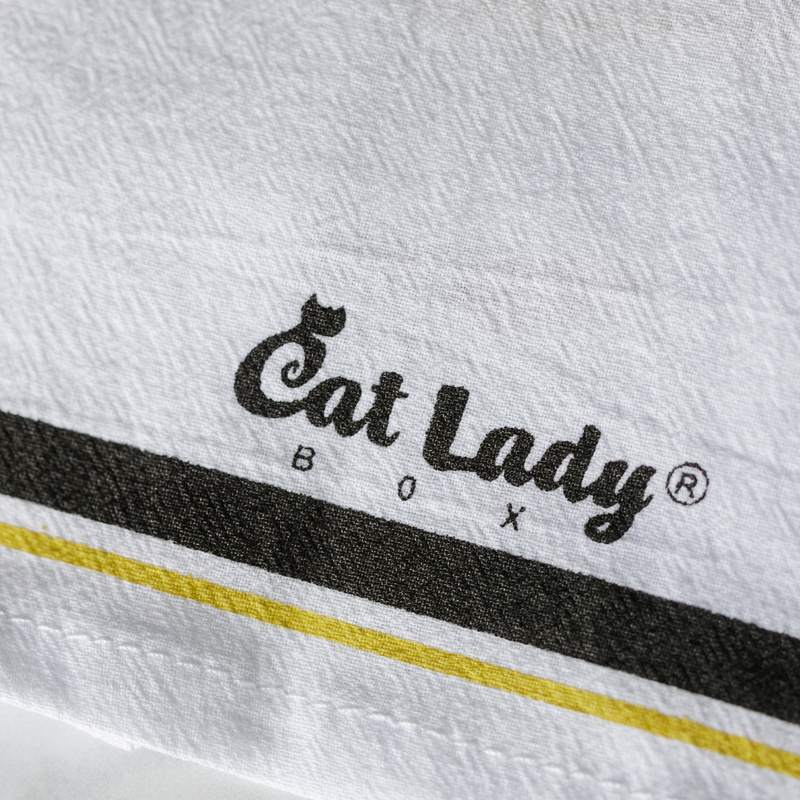 Made exclusively for CatLadyBox and originally featured in our “Cats in the Kitchen”-themed box.